Keyboard backlighting sheet and perspex diffuser for the original 2009 - 2011 ranges of unibody 15" MacBook Pro. 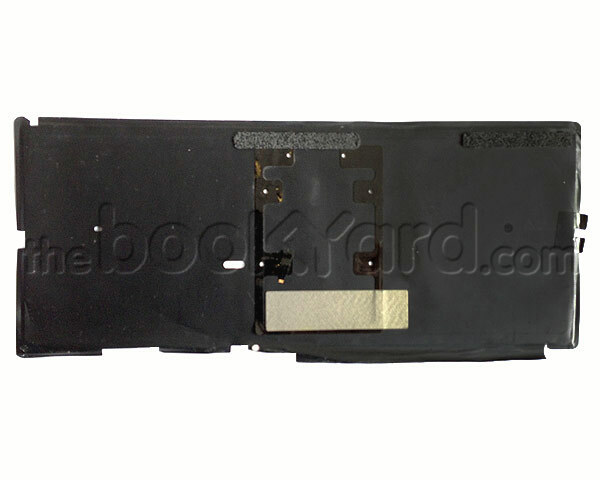 The backlight sheet contains LEDs that illuminate the keyboard and connects to the logic board via an integral flex cable and also the siffuser and masking sheets. There are 2 different revisions of backlight sheet for the 2009 macbook pro. They are functionally interchangeable, but the LED strip is aligned differently. This is the backlight sheet from a Darfon manufactured keyboard which typically uses Type E keycaps.